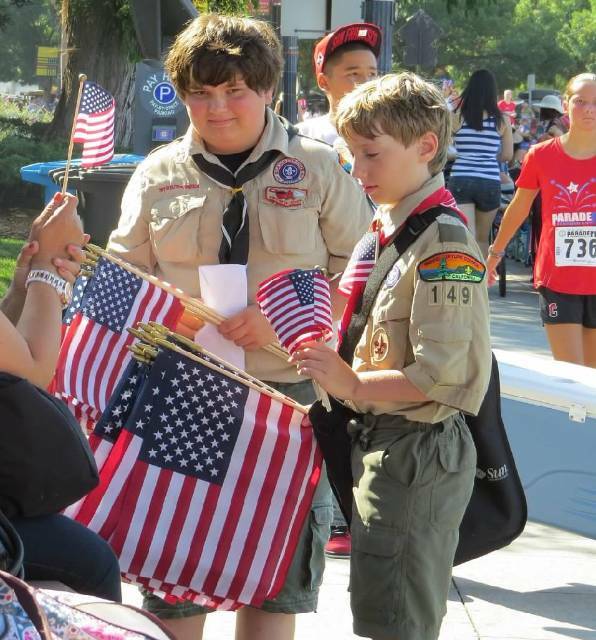 Dating back to 1943, Troop 149 has been creating mature men and many Eagle Scouts. So many, that we have had 86 young men finish the Scouting program and achieve the prestigious rank of Eagle. Annually, we strive to attend at least 10 regular camp outs. Every year since 1997, we have been going to Camp Royaneh over the summer as well as going to one camp of our Scouts choice. Some examples of camps we have gone to in the past years are Camp Oljato, Emerald Bay, Chawanakee and Philmont Scout Ranch, just to name a few. Our Troop is based out of Redwood City, California at the Elks Lodge and we meet three out of four Monday nights per month. See from our past Scoutmasters of what they liked about leading the Troop! What was the best thing about the weekly meetings? I spent a considerable amount of my time in meetings involved with Scoutmaster Conferences. Nearly anything in life that is worthwhile comes with its challenges, and Scoutmaster Conferences definitely could be challenging at time, however, they were alway extremely worthwhile! What do you think was your most effective Scoutmaster Minute? Picking a favorite Scoutmaster Minute would be akin to picking your favorite child. In my four years, I performed over 100 of them, many of which were well longer than a "minute" . One of my favorites was called "The Jar" which I "borrowed" from an internet site. Basically, I filled a large jar with ping pong balls, and asked the troop if they felt I could get anything else into the jar, of course they answered: no. Then I added several handfuls of ball bearings until the jar was filled, asked the same question, and got the same response. Lastly, I added several handfuls of sand to the jar until it was filled, finally making the comment, that often our lives seem like we can't add anything else to our day, however, we should always make time for what is important, and there is always a little more room in the jar! What was your favorite camp you attended as a Scoutmaster? My last summer camp was very important to me, personally. Although it is not well known, I have a pretty severe phobia of open water, thus for the previous summer camps, I was unable to complete the qualifying swim. After three years of not making it, I told myself that I would finally achieve my goal of fully qualifying for the water aspects of summer camp. To do this, I built my swimming confidence, and proficiency, swimming three days a week at a local pool. At my last summer camp, I was able to successfully complete the swimming challenge at Catalina Island. Sometimes, life provides great challenges and opportunities and regardless if you are in your teens or in your 50’s, you have to meet this challenges head on, come up with a reasonable plan to achieve your goals, work hard, and hopefully you will surpass some of your greatest fears. What made you want to become a Scoutmaster? I was one back in Utah, but when I got a job here in California I attended a Round Table asking what I can do to help out in the local Scouting Community. Even though I still lived in Utah and worked in California, I did what I could do for the Troop while I was in the Bay Area for work during the week. It was a great relief to have Jeff Gray, my successor, to attend Troop outings on the weekend. What was your favorite Scoutmaster Minute? The one I described how I ride past a bunch of fishing piers every morning on my way to work. When the tide is out I can see that the bay has eaten away at the wooden supports so that they are not safe to walk on. However at high tide, they look like a great place to go fishing. I would never trust them. One thing I could not include in the minute that I can now is that most of the piers have fallen into the Bay after a few years. What was your favorite activity done during a meeting? That would have to be any cooking event. One in particular is when we had dutch oven cooking. Everyone likes to eat and the food tasted great. What was your favorite activity done during a meeting? Knot tying and first aid were probably my favorite meetings. What was your favorite summer camp? Camp Mensinger was my favorite camp because I felt most connected to the outdoors than most other camps we went to. What made you become a Scoutmaster and your best Scoutmaster Minute? I wanted to be a rolemodel to all the Scouts who were in my Troop and help as many as possible to have a better life. Best Scoutmaster Minute was to be positive in all you do in life and to learn from everything. Please congratulate Jack C. for earning Eagle! Please congratulate Jack Cryan for earning his rank of Eagle Scout this evening. Jack successfully completed the last step on his journey to Eagle by completing the Board of Review. He answered all of their questions thoughtfully and represented our Troop, his family and the community with honor. 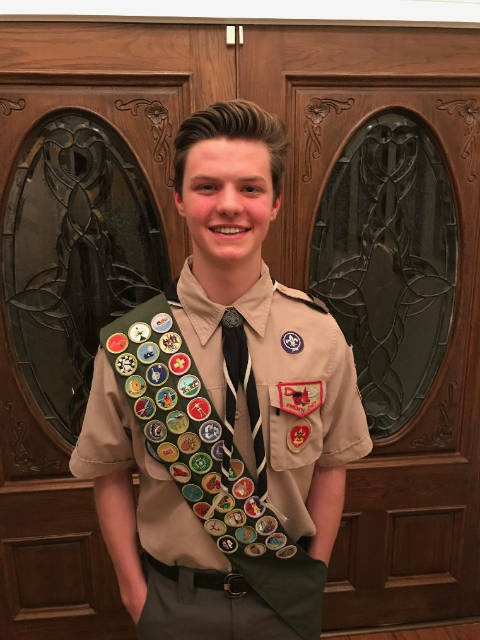 Congratulations to Alex K. on becoming our Troop's latest Eagle Scout and the first Eagle of 2019! Popcorn sales will be ending soon so get your orders in, Holiday wreaths sales are open now and will end November 5th. Profits from these sales will go directly into your scout account.